THE #1 SELLING ROBOTIC CLEANER BRAND! Dimensions: 17" X 14-1/2" X 11-1/8"
CLEANS YOUR POOL IN HALF THE TIME! CLEANS ANY POOL UP TO 50’ LONG IN ONLY ONE HOUR! This is the same state of the art technology as the Turbo T, except the T2 is even faster. Drop the robotic dynamo in you pool and it will be spotlessly cleaned in only 1 hour. Turbo T2 automatically shuts itself off after its 1 hour cleaning cycle is complete. 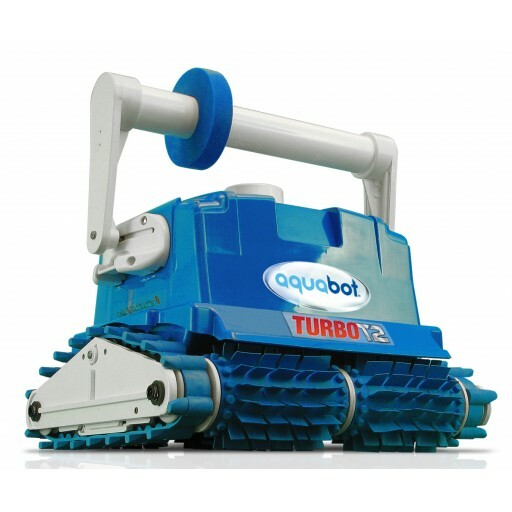 Aquabot Junior is the state-of-the-art, cost-effective and performance-proven way to clean your pool in a fraction of the time of other cleaners. There are no hoses or vacuum poles to mess with, and it no longer matters if wind blew dirt in the pool or it just rained after the pool was cleaned. 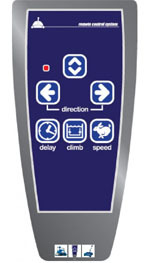 With an Aquabot Junior you will enjoy effective cleaning, filtration, and savings at the simple touch of a button! This fully automatic, computerized robotic cleaner has its own drive motor and filtration system. Simply plug it in, drop it into your pool, and off it goes. The Pool Rover™ is pre-programmed to clean ALL of your pool spotlessly clean. 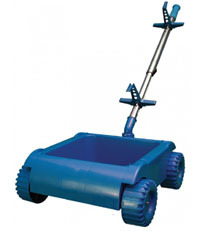 Works on flat or dished out above-ground pools: round, oval or rectangle. Since the Pool Rover™ has its own filtration system, it will remove algae and bacteria as well as dirt, debris and sand. A completely safe 24-volt motor that is incredibly fast, but costs pennies a day to operate, powers the unit. Dimensions: 18 1/2" X 18" X 11"
Warning ! Beware of imitators ! 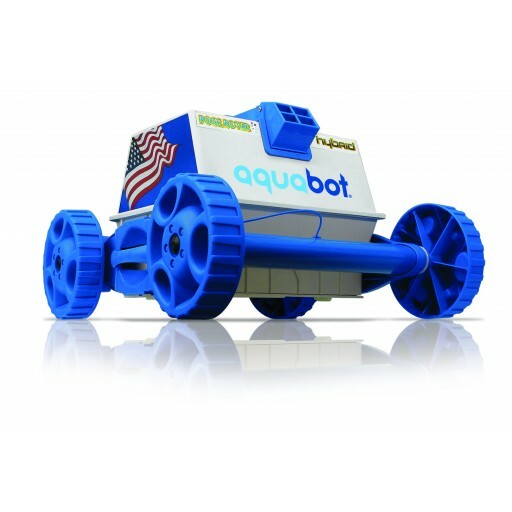 Poolandspa.com is a fully authorized Aquabot dealer. 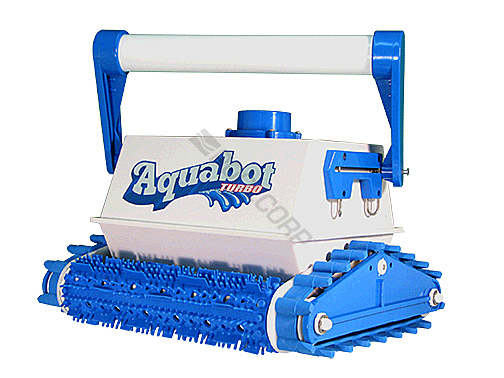 If you are going to invest this kind of money in an automatic pool cleaner that will last for years, make certain that you are getting a REAL Aquabot from a REAL Aquabot dealer with a REAL warranty direct from the REAL Aquabot company, on your product. The Aquabot warranty covers all units sold in U.S., Canada & Puerto Rico by fully authorized dealers only. Sales to any other area void the warranty. Prices include all Shipping & Handling charges (Continental US only). No extras ! 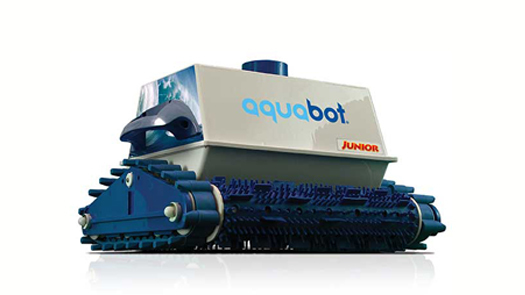 As a fully authorized Aquabot dealer, we offer the Guaranteed Lowest Prices on all Aquabot products. 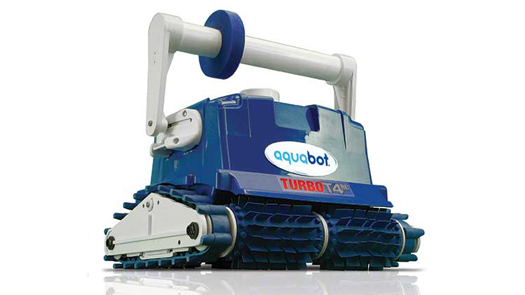 We will beat any legitimate price on any unit, and make SURE you are getting a genuine, real Aquabot unit ! Call us at 1-800-876-7647 or 702-437-4343, or email us at customerservice@poolandspa.com for further information.